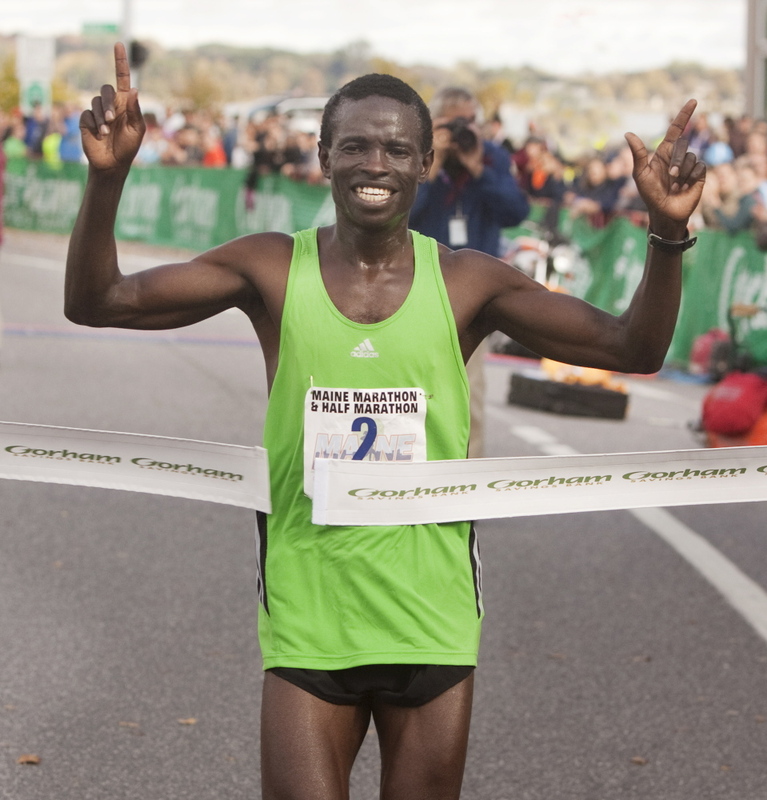 Seekins, Irish win half marathon. Moninda Marube of Auburn won the 23rd Maine Marathon on a cool and breezy Sunday morning in a time of 2 hours, 29 minutes, 56 seconds. Originally from Kenya, Marube, 35, had designs on the course record but put them out of his head 4 miles into the 26.2-mile out-and-back course between Portland and Yarmouth. Leah Frost, originally from Round Pond but now living in Glover, Vermont, won her second straight women’s marathon title, in 2:51:53. Chris Harmon of Portland was the men’s runner-up in 2:32:55 and Michelle Lilienthal, also of Portland, was the second woman to finish, in 2:58:46. Marube and Frost each won $1,000 in prize money. Winners of the half marathon were Sam Seekins, a graduate of Erskine Academy and Bowdoin College now living in Portland, in 1:11:29 and Christine Irish, 39, of North Yarmouth in 1:23:41.